Assembling a screen for screen printing. 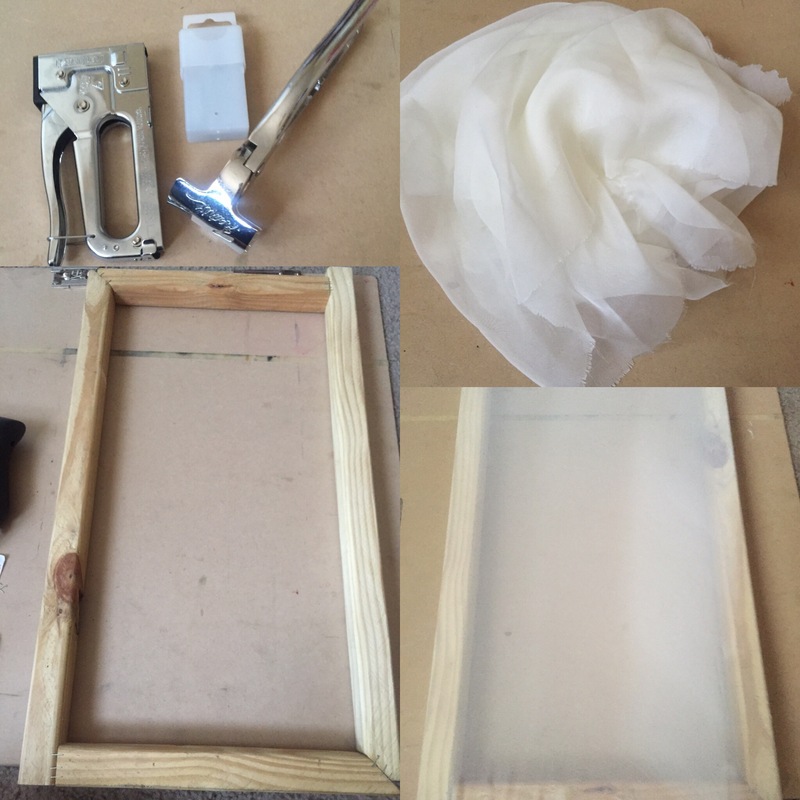 This process can also be used to assemble a stretched canvas. The Nu Canvas creates art on any surface because any surface can become ones canvas. Naturally when the thought of placing designs on t-shirts arose a few essential materials were needed. One of which being a screen(stretched on a frame). While many DIYers use embroidery hoops I chose not to as I knew that space would be an issue and the oval shaped hoops provide a limited amount of space. Stretcher bars can also be used for this process, but this particular method is even more cost efficient if you already have a few tools at your disposal. With that being said lets get started. Many artist have the tools shown above but if you don’t they’re a great investment! 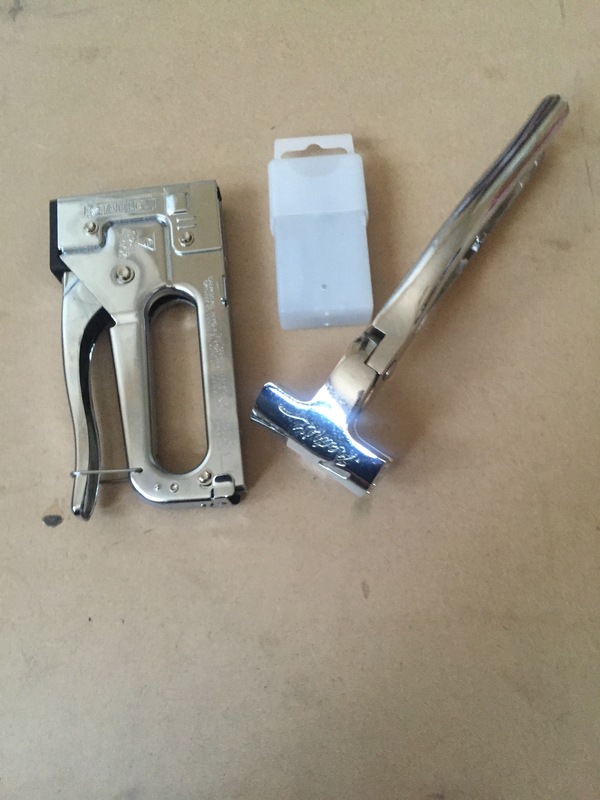 From left to right ; staple gun, staples, canvas plier. Feel free to use a power drill if you don’t have a heavy duty stapler! 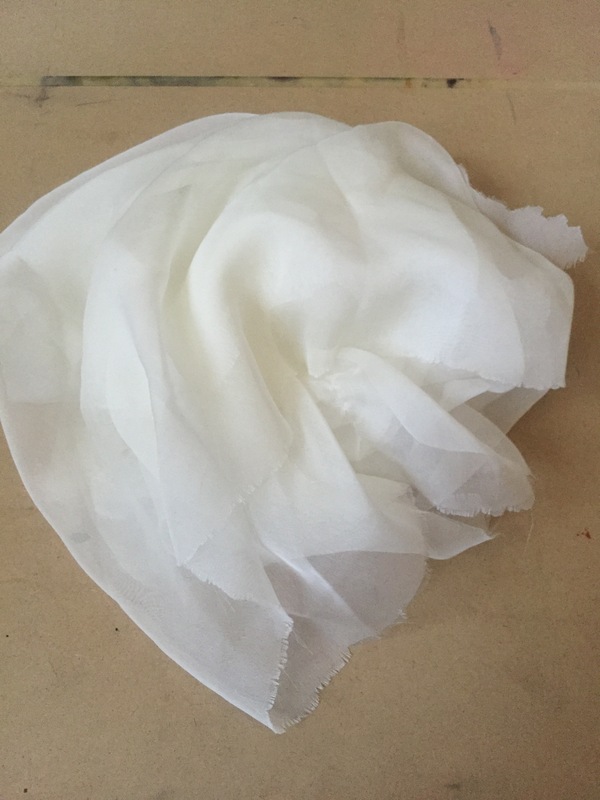 You’ll need monofilament mesh polyester screen fabric. You can find this at your local art supply or fabric store, they’re also sold at various Walmart locations. Prices vary but I’ve never paid more than $2/yard for it. Stretcher bars can cost anywhere from $2/bar – $8/bar and again I say if you’re more comfortable using them then by all means go for it, this just happens to be a cheaper option. 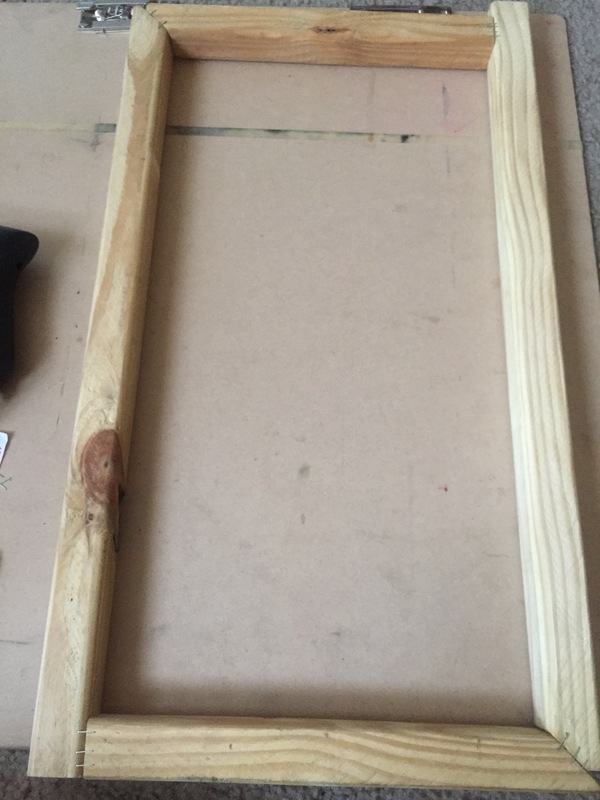 Ok so I ended up at my local Lowes and purchased 2 sanded pieces of wood both 48″ in length and a little over an inch thick. They were only 86cents/piece! The amazing thing about Lowes was that they cut the wood no matter how small you want it. The last time I visited Home Depot they wouldn’t cut anything under a foot! There was a dollar cutting fee so I paid about $3 for my wood. The wood was cut 12″ & 24″. I placed the pieces together to form a rectangle and stapled the meeting points together on the front and back sides. I used about 2/3 staples per corner per side just to reinforce. Once that task was completed I stapled the screen along the length of the wood. I then pulled it around, using the pliers to tighten the fabric and stapled it to the side parallel. I continued the process on the shorter sides and voila! 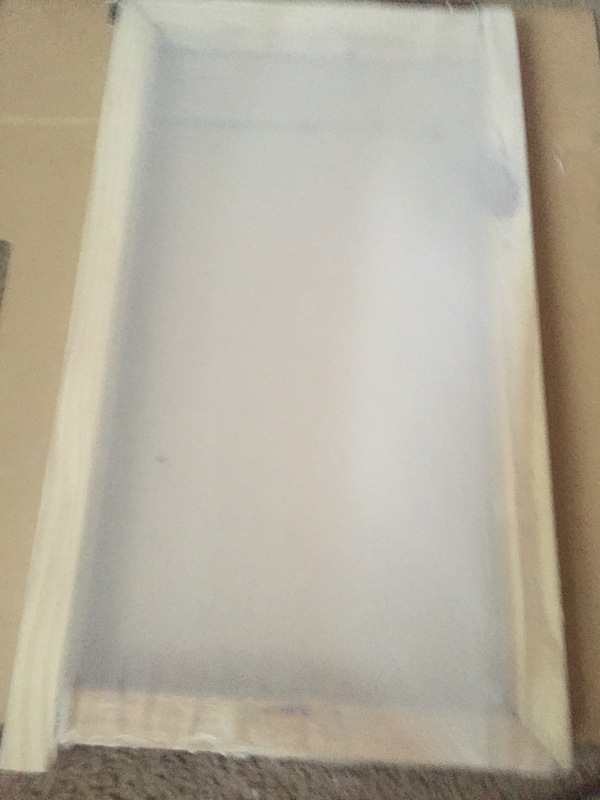 This screen which is sold for about $15 – $25 cost me $5 to make! Again, if you have the materials, time, and patience give this process a try. Contact The Nu Canvas if you have any questions. Have a great time creating!